The Queen is trotting off to Sussex Drive and the Famous Five will move their tea party down to the old train station to make way for the upcoming Centre Block renovation on Parliament Hill. The Queen is trotting off to Sussex Drive and the Famous Five will move their tea party down to Ottawa's old train station to make way for the upcoming Centre Block renovation on Parliament Hill. The two statues, which stand just east of Centre Block, will be moved temporarily to make way for the major construction project, set to begin this spring. 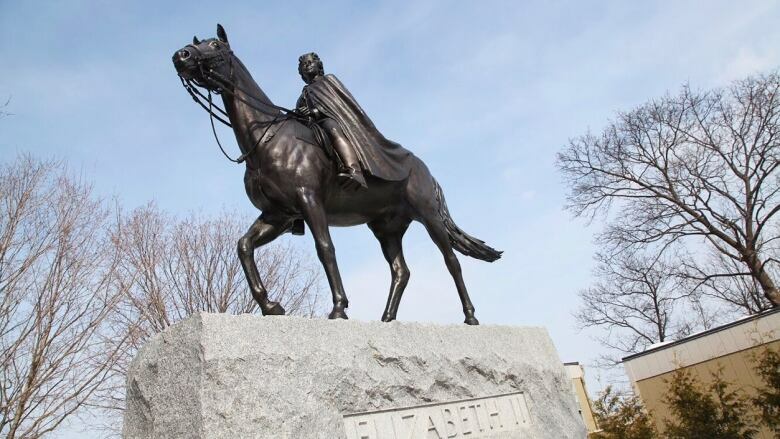 The equestrian statue of Queen Elizabeth II, which was unveiled as part of Canada's 125th anniversary celebrations in 1992, will be moved to the Sussex Drive roundabout between Rideau Hall and the prime minister's official residence. The Famous Five statue, officially named the Women Are Persons! monument, will move to the temporary Senate building — once Ottawa's central train station on Rideau Street, across from the Fairmont Château Laurier. 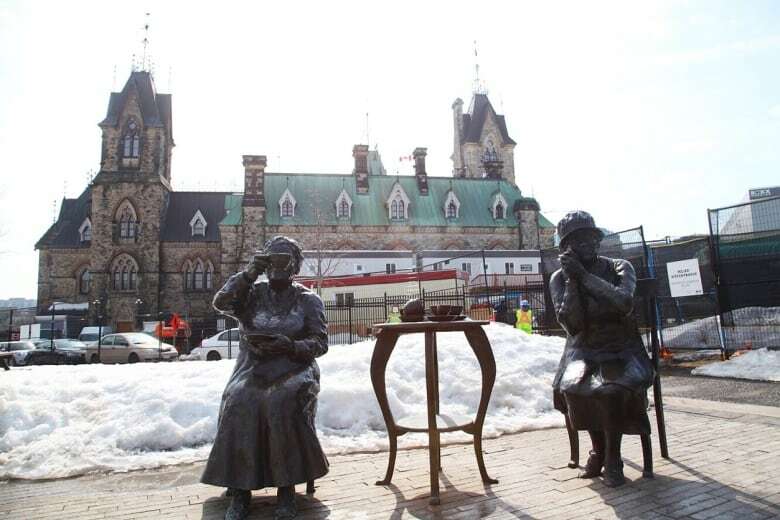 The bronze monument honours the five Canadian women — Henrietta Muir Edwards, Louise McKinney, Nellie McClung, Irene Parlby and Emily Murphy — behind the 1929 Persons Case, which ruled women were persons under the law and therefore eligible for appointment to the Senate. The monument, with its larger-than-life figures showing off the proclamation, is a popular draw for tourists and locals alike, and a powerful symbol of women's equality to many. According to Public Services and Procurement Canada, both statues will be moved to locations where they can still be seen and enjoyed. "The selected sites allow for continued public access and provide a strong connection between the monument and its physical setting," the department said in a statement. The statement confirms the statues will return to Parliament Hill following the rehabilitation of Centre Block. The city, Senate, House of Commons, Library of Parliament and National Capital Commission were all consulted on the new locations. In addition, the Governor General's office was also consulted on the relocation of the Queen's statue, and both the Famous Five Foundation and the sculptor were asked about the relocation of the Famous Five monument.